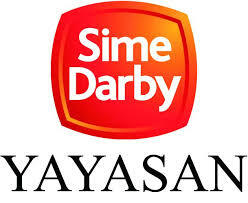 Yayasan Sime Darby invites qualified students who will commence their undergraduate programme in September 2019 after completing their STPM or Foundation/Matriculation studies as well as those who are in their first year of undergraduate studies to apply for education sponsorship to pursue undergraduate studies at recognised Malaysian academic institutions approved by YSD. Full scholarship covers tuition fees, living allowance, books allowance and computer allowance.Recipients of scholarship will have the opportunity to undergo Scholars Development Programme and experience work exposure through internship within the Sime Darby Group of Companies.Note: The scholarship will only cover expenses incurred after the award to recipients (i.e. upon execution of the scholarship agreement). On completion of studies, scholars will be required to serve Sime Darby Group of Companies for 2 to 4 years, depending on the value of the scholarship.